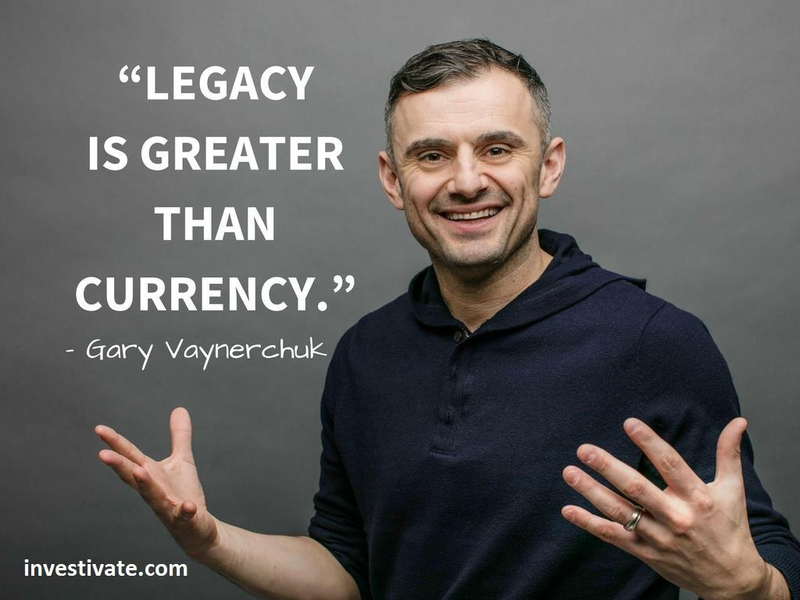 Let’s be honest – pretty much everyone and their mother has heard of Gary Vaynerchuk in the world of entrepreneurship and digital marketing. I mean, this guy is the absolute personification of marketing success. This award-winning entrepreneur, author, public speaker and thought leader has everyone from Turner Broadcasting System to Anheuser-Busch vying for his expertise. In fact, his list of Fortune 500 companies include the likes of General Electric, Mondelez and even PepsiCo. So what’s the key to Vaynerchuk’s success? 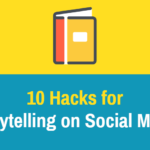 Well, we’ve isolated the top 10 reasons why Vaynerchuk is absolutely killing it at the marketing game and we’ve boiled them all down in a nice little listicle for your reading pleasure. Enjoy. Many individuals may be surprised to find out that Vaynerchuk started out in his family’s wine business at the age of 14. Now, while he may have not necessarily known at the time that his life path would take him into a world of digital marketing and entrepreneurship, the fact remains that he was putting in work in the family business at an age when most of us were still playing video games and watching Are You Afraid of the Dark? Vaynerchuk graduated with his bachelor’s degree in 1998 at which point he assumed daily control over the family business. Yes, that’s right – 1998 – twenty years ago. When it comes to time, Vaynerchuk doesn’t play around – and it’s this very quality that sets him apart from the rest. Vaynerchuk started with video from the very beginning, when he was still working for his family’s wine business just out of college. Needless to say, he had a bit of an edge up on the competition. After switching the family business name to Wine Library, Vaynerchuk launched online sales with the inception of Wine Library TV – a daily webcast which he hosted from 2006 to 2011. Vaynerchuk attributes his success to being a “good entrepreneur”. The media mogul credits a good entrepreneur as one that “…tastes the vibrations of where the world’s going…I though online video was going to be a big deal…I just knew that I wanted to try it because it was going to be a big deal. If you’ve ever been witness to a Gary Vee podcast, interview, speech or read any of his books, then you know firsthand the kind of no-nonsense, in-your-face honesty this man has to offer. This guy does not shy away from profanity and his matter-of-fact style coupled with the depth of insight he brings from his life experiences is what makes him shine. Simply put – he’s not your average, run-of-the-mill entrepreneur out there giving speeches riddled in business talk and ambiguous concepts. He breaks things down in layman’s terms and gets straight to the point – and this is why he’s so beloved. 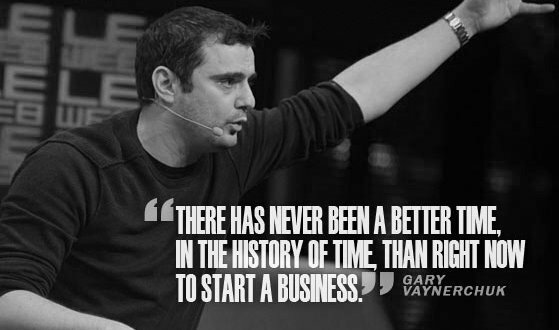 Ever since 2006 Vayner’s had his eye on the prize and his social presence has been felt for over two decades. Through his wine vlogging efforts and business savvy, Vaynerchuk was able to grow his family’s business from $3 million to $60million a year by 2005 – just seven years after he graduated with his bachelor’s from college. Vaynerchuk’s YouTube docu-series’ #DailyVee details his life as an entrepreneur and was started in 2015. The series also gives viewers the benefit of seeing him interview other important figures and gives an up-close and personal view of his investor meetings and strategy sessions at VaynerMedia. His other series, #AskGaryVee began in 2014 and involves him answering pressing questions from his viewers on topics such as social media, entrepreneurship and family. These two channels collectively bring in more than 1 million subscribers combined and you better bet he’s still writing, speaking, holding podcasts and yes, even occasionally reprising his role on WineLibraryTV. Vaynerchuck doesn’t just stop with a massive YouTube presence and making a name in the business world. This guy reaches for the stars. Not too long ago he signed onto a $1 million, 10-book deal with HarperStudio. His first publishing experience brought him widespread recognition with the ever so memorable Crush It! 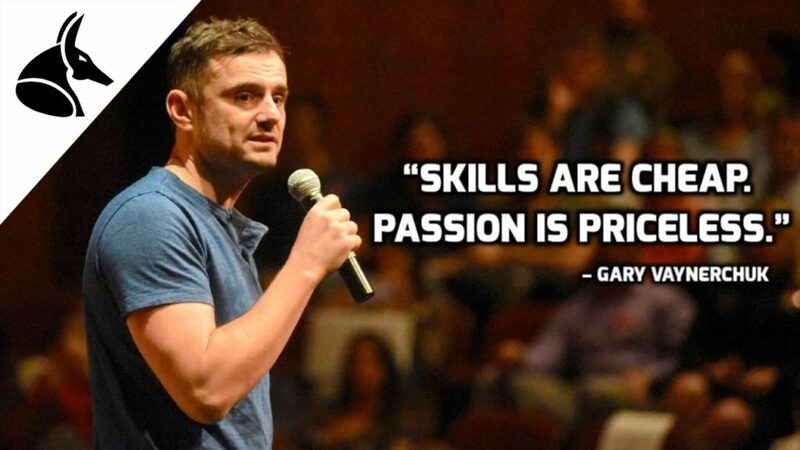 Why Now is the Time to Cash in on Your Passion (2009). This book reached #1 on the Amazon best seller list for web marketing books, #2 on the New York Times’ hardcover advice best seller list, and yes — even made it on the Wall Street Journal best seller list as well. His second book The Thank You Economy was released in 2011 and reached #2 on New York Times hardcover advice bestseller list. Jab, Jab, Jab, Right Hook: How to Tell Your Story in a Noisy Social World, released in 2013 topped both the New York Times and Wall Street Journal’s best seller lists. His most recent book, AskGaryVee: One Entrepreneur’s Take on Leadership, Social Media, and Self-Awareness, was created after his insanely popular YouTube show and published in March of 2016. The point? 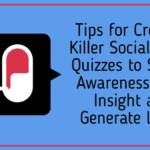 Authorship not only establishes and spreads brand awareness — it also promotes credibility and thought leadership. #winning. In a recent interview, Vaynerchuk credited his success with his ability to think outside of the boox and find the most creative solutions for legacy companies and startups alike. The key is, according to him, to “look at the problem from different altitudes” and “bend the lines”. “You can tinker with the parameters in ways people didn’t think were possible,” says Vaynerchuk. While much of Vaynerchuk’s success can be attributed to his personal traits and character, the truth of the matter is that his initial achievements were founded upon data collection and still to this very day are. In fact, Vaynerchuk credits the family business email service as the main driving force between the success he found when switching the business to online, crediting it as a “hugely positive” step. He credits data collection as a “huge force” in the business’ growth and the main reason as to why he is relevant today. There was no way I was building something from $3 million to $60 million in a heartbeat without the Internet or the website…Now, I look at social media and it’s the same thing, but it takes longer for it to develop. It’s running a marathon instead of sprint. 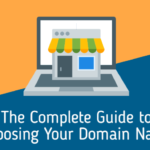 Email and Google AdWords is a sprint, social media is a marathon. Together, you’re an unstoppable force. This guy just absolutely oozes passion whenever he speaks. I mean, who ever thought that anyone could steal the spotlight from Casey Neistat? it’s pretty clear that Vaynerchuk loves to talk — and this is exactly what makes him so awesome and fun to watch and view as a mentor. On a recent episode of #AskGaryVee, Vaynerchuk and Neistat discuss the importance of discovering one’s true passion and building a life around this passion. He also discusses the importance of not lying to oneself and being more realistic about their talents and gifts, as well as their weaknesses. He also touches upon the importance of being productive with one’s spare time and not just paying lip-service to the ideal of entrepreneurship but actually putting your nose to the grindstone. There’s no denying that Vaynerchuk is one media savvy guy. I mean seriously, he’s been featured in GQ, Time Magazine, The Wall Street Journal, Inc.com and The New York Times — to name a few. Oh, and that’s not all, he’s also been featured on various popular television shows such as Late Night with Conan O’Brien and Ellen. Even more, in 2003, Market Watch magazine made him the youngest recipient of it’s “Market Watch Leader” award. In 2009 Decanter ranked him as #40 on “The Power List” and two years later he made it onto the Wall Street Journal’s list of Twitter’s Small Business Big Shots. In 2014, he was named to Fortune’s “40 Under 40” and during this time period he also judged a Miss America Pageant, the 2016 Genius Awards, and was working on several entrepreneurial pursuits including his Planet of the Apps. This reality TV series was a self-described “Shark Tank Meets American Idol” and was hosted by Vaynerchuk, himself, Gwyneth Paltrow and Will.I.Am. Not only was he working in the family business at 14 years old, but he spent practically every single day of his high school life dedicated to the job. “And I mean everyday, literally from the first day of the summer to the last, except for Sundays sporadically”, says Vaynerchuk about the experience. This led to an increase in knowledge, which was perpetuated by his voracious appetite for reading and his commitment to understanding customers and their needs on an innate level. “I used my ears quite a bit in those early days” he says. At around 17 he started making waves in business sales which led to him having influence in business decisions at 18 and by the time he was 22 years old, Vaynerchuk was running day-to-day operations. Ever since then he’s never looked back. Fast forward to 2009 and he’s co-founded VaynerMedia, The Gallery, VaynerRSE, BRaVe Ventures, VaynerSports and has a boatload of best selling books under his belt. This guy is unstoppable and his grit and determination are unparalleled. 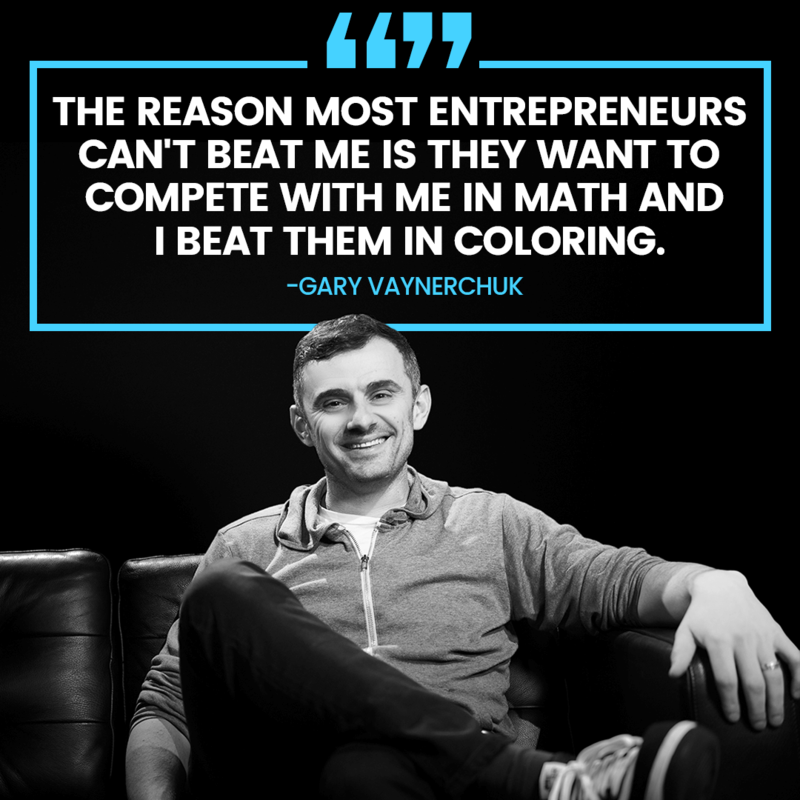 Vaynerchuk is perhaps one of the most successful digital entrepreneurs in the industry. His diverse online presence coupled with his media savvy, drive and years of hard work have made him practically a household name. I mean, seriously – the guy’s even been on Ellen. Those looking to follow in the steps of Vaynerchuk need look no further than his never-ending drive and commitment to consistency and personal growth. 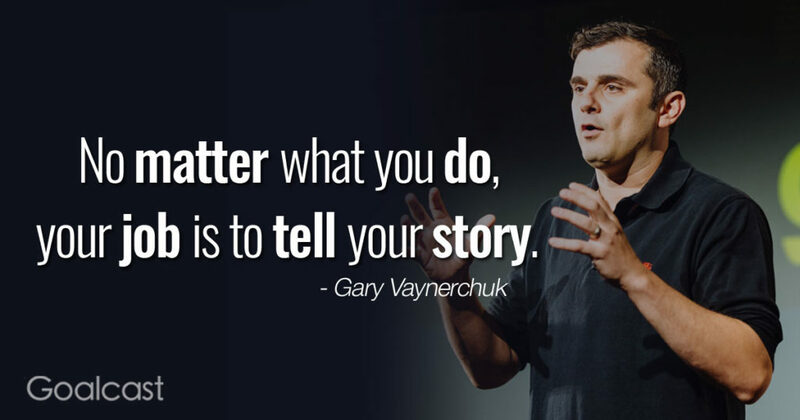 While it’s true that Vaynerchuk has developed a sound number of business strategies that he’s implemented to practical perfection, the truth can’t be ignored that his personal character traits play a vital role in his success. One of my favorite quotes remarks about how the only time you’ll ever find success before work is in the dictionary. The plain, simple truth of the matter is that Vaynerchuk’s success boils down largely to the fact that he’s just a hard-working dude with a lot of grit. Point blank. We just so happen to think that his $160 million net worth is proof of this enough. 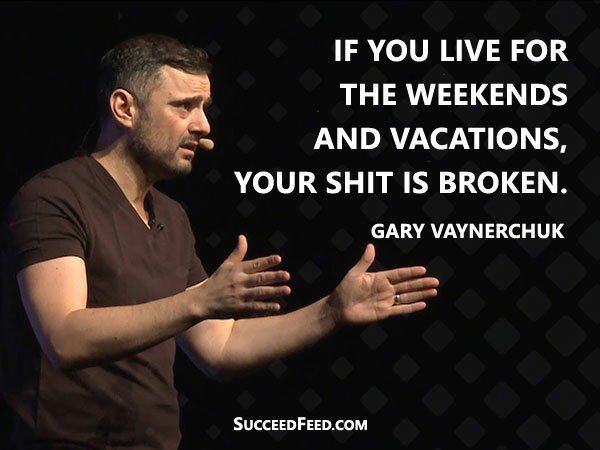 What’s your favorite Gary Vee quote?